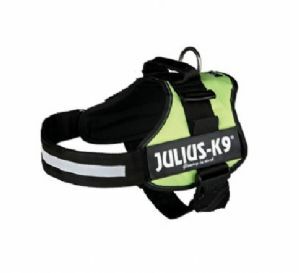 K9 Dog power Harness in Lime Green. 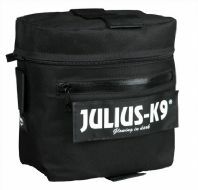 Our own dogs wear these Julius K9 harnesses. We find the harness very quick to put on and due to the large handle it helps us lift our dogs in and out of the vehicle, of course they look great too! with their very own speaking labels. 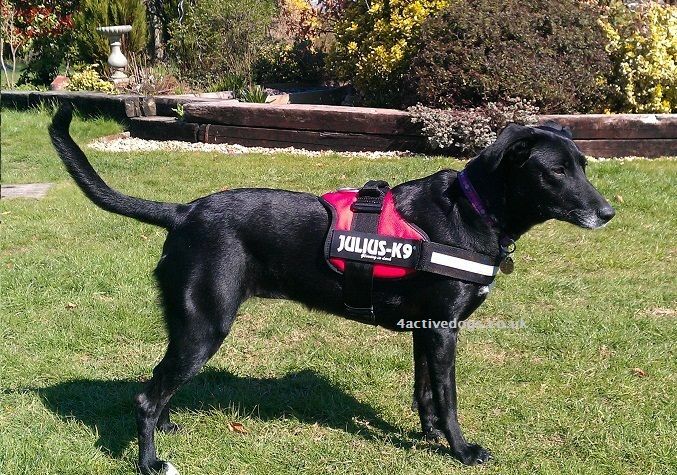 Originally used by dog handlers, Search & rescue, police, fire and sniffer dog teams. The quality of the Julius K9 power harness is second to none, you have the ability to interchange the velcro side labels, add sidepacks and other dog accessories. 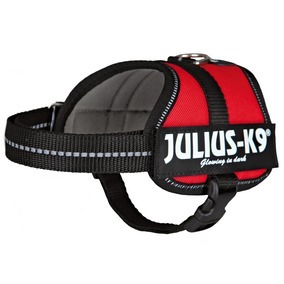 The Julius harness is just amazing, designed for everyday use. Impregnated, scratch proof outer layer - breathing active inner lining with strong load distributing - sturdy seams - The handle on the back of the harness enables easy holding or lifting of the dog - The abdominal strap has a plastic handle and a chest strap with Velcro fastening - The reflective stripe provides excellent visibility during dark evenings. Side velcro holder which allows you to attach more than 400 different reflective labels and talking tags.